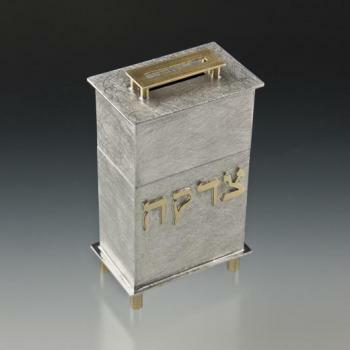 Sterling silver kiddush cup by 11th generation silversmiths from Jerusalem. 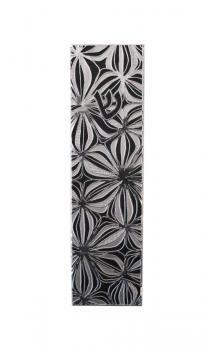 Each piece of filigree- silver strands are hand made, twisted and pulled from thin strands of silver. 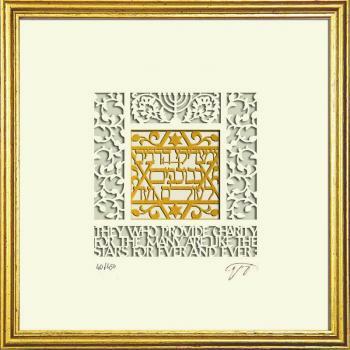 Applied by hand by master craftsmen in the holy city of Jerusalem. The inside of the goblet is washed in 24kt gold so that the acidity from the wine does not start to eat into the silver. 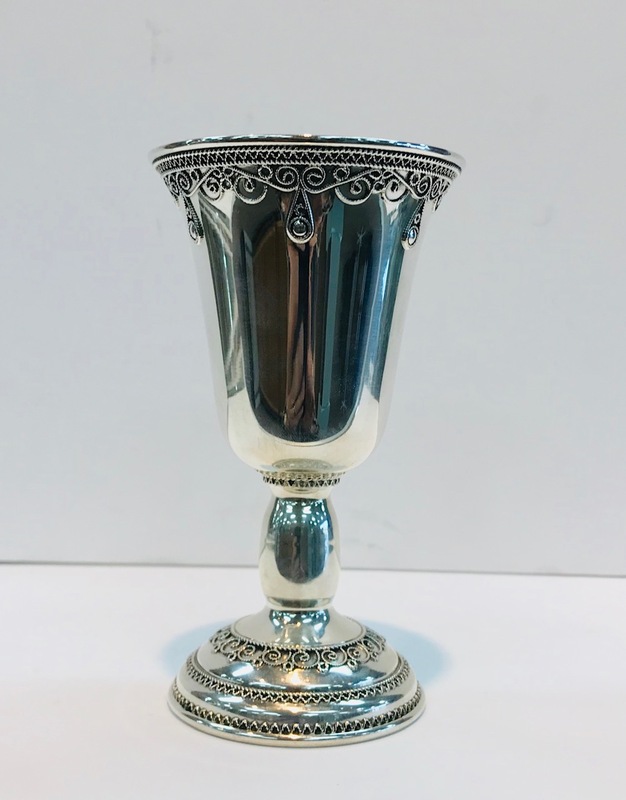 This goblet is an heirloom piece to be cherished through the generations.